Filip Chytil scored his 4th goal in as many games, and Henrik Lundqvist and the New York defense stood tall in the closing minutes, as the Rangers edged the Dallas Stars, 2-1, Monday night at The Garden. It was the team’s 6th straight home win. The Blueshirts are now 8-1-1 in their last ten games. After a scoreless 1st period, Tyler Seguin gave Dallas a 1-0 lead just 2:17 into the period, for his 7th goal of the season. But the Rangers answered minutes later, when Jimmy Vesey, with his back to the Stars’ goal, backhanded a shot past Ben Bishop for a highlight reel goal at 9:38 to make it 1-1. Vesey now has four goals in his last eight games. Bishop would leave the game after two periods, with what was described as a lower body injury, replaced by Anton Khudobin. Chytil’s wrist shot at the 4:32 mark of the 3rd period gave New York a 2-1 lead. Skating in toward the Dallas net, he skidded to a stop, used Dallas defenseman Joel Hanley as a screen, and beat Khudobin up top for his 4th goal of the season. It was also his first career game-winning goal. The Rangers managed to kill off the remaining time, with Lundqvist and the defense stopping the Stars. Fredrik Claesson made a huge block on an Alexander Radulov shot with 0:15 to play. The Rangers [now 11-8-2, 24 pts] host the Islanders Wednesday night at The Garden. The Rangers traded 26-year-old Ryan Spooner to the Edmonton Oilers Friday, in exchange for 25-year-old winger Ryan Strome. Spooner had 1 goal and 1 assist in 16 games for New York. Strome had similar numbers: 1 goal and 1 assist in 18 games for Edmonton. Spooner was acquired by then Rangers last February, in the Rick Nash deal. The Rangers rallied from a 3-1 deficit in the 2nd period to score four straight goals and beat the Montreal Canadiens, 5-3, Tuesday night at The Garden. The win extended New York’s winning streak to four games, and improved their record on the season to 7-7-1. 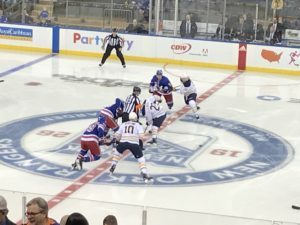 With the score tied, 3-3, late in the game, Neal Pionk took the puck behind the New York goal, skated the length of the ice, and beat Carey Price with 2:44 to play to give the Blueshirts a 4-3 lead. The highlight reel goal was Pionk’s 2nd goal of the season. Kevin Hayes had three assists to lead the Rangers with three points. Chris Kreider [1G, 1A] and Mika Zibanejad [1G, 1A] each had two points. Tony DeAngelo and Pavel Buchnevich tallied the other two Rangers goals. Henrik Lundqvist made 31 saves, for his 436th career win. The Rangers [now 7-7-1, 15 pts] play the Red Wings in Detroit Friday night. 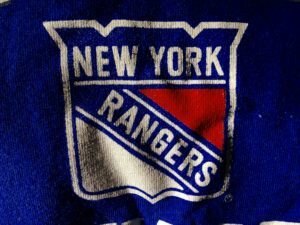 Henrik Lundqvist made 39 saves and Jimmy Vesey scored a pair of goals, as the Rangers beat the Buffalo Sabres, 3-1, Sunday night at The Garden. The win extended the team’s winning streak to three games. 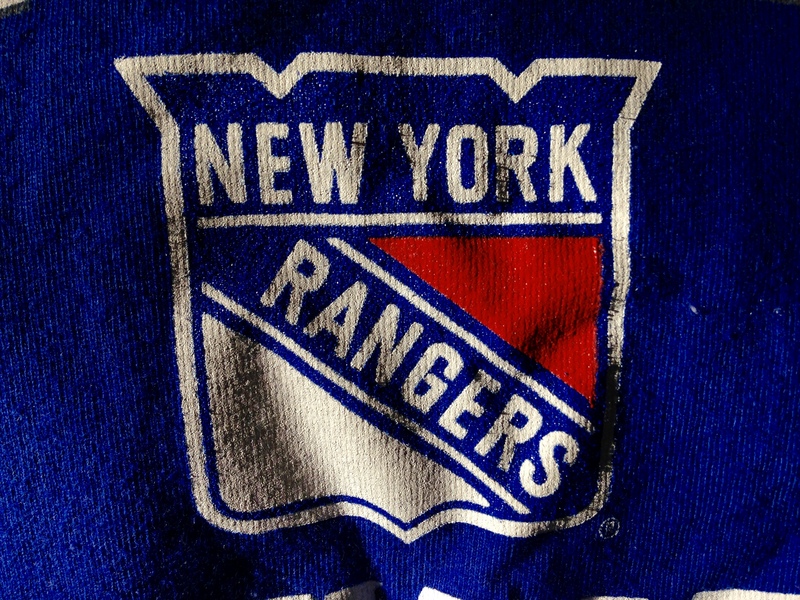 After a scoreless 1st period, the Blueshirts scored two goals in 19 seconds in the first minute of the 2nd period. Neal Pionk, off a nice pass from Vlad Namestnikov, scored his first goal of the season just 41 seconds into the period, to make it 1-0. 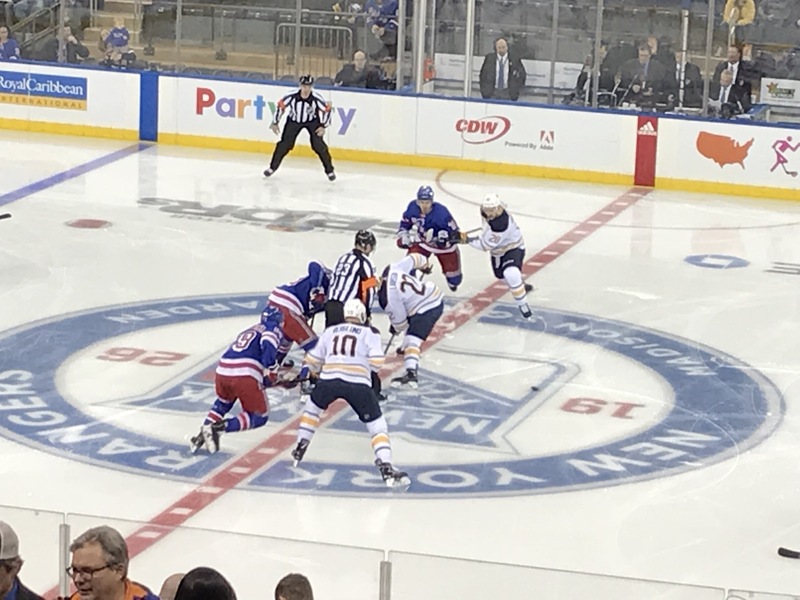 Nineteen seconds later, Vesey – off a terrific assist from Brett Howden – beat Carter Hutton with a wrist shot to make it 2-0 just 60 seconds into the period. Howden would leave the game later in the 2nd period, after a collision into the boards, and did not return to the game. In the 3rd, Conor Sheary put a rebound past Lundqvist at the 6:07 mark to make it 2-1. Vesey’s empty-netter with 1:51 to go provided the final 3-1 margin. Vesey now has five goals on the season. The Sabres out-shot the Rangers 40-22 in the game. Buffalo went 0-for-4 on the power play.